Divorce was the last thing you expected. You did everything you could to prevent it and keep your marriage and your family together. But it was just not possible. All you can do now is get through the process in the most civil and constructive way. One of the most difficult parts of divorce is sorting out the finances. In order to do that, you need to work with a firm that has a robust family law practice. If there is a prenuptial agreement, the final divorce settlement will depend greatly on the terms of the prenuptial agreement. A particularly complex issue is where there is a wide difference in personal debt between you and your spouse and there is no prenuptial agreement delineating how the debt should be divided. In many cases, regardless of whose debt the name is in, each spouse is expected to be equally responsible for the debt incurred during the marriage. However, there are some exceptions. If you know your spouse has racked up more than you in credit card bills and personal loans, you should work with one of our NJ divorce attorneys to handle the case in a way that will result in your favor. New Jersey is an “equitable distribution” State. This means that the division of marital assets and marital debts need not be the same — especially if your spouse contributed far more to the debt than to the assets. You shouldn’t allow your spouse’s debt derail your plans to file for divorce if you are in an unhappy marriage. Do not allow the thought of shouldering the debt he/she has accumulated to keep you in a marriage you know is over. In fact, the longer you wait, the more debt your spouse can accumulate and the more you are at risk for having to take on that debt in the divorce. Our divorce attorneys can formulate a legal strategy that will free or minimize you of the debt you had no hand in creating. As your attorney, it is our goal to enable you to have closure and begin your new life without an undue burden from the old. Your divorce doesn’t need to be a war of the roses. It doesn’t need to be filled with anger, acrimony, and threats. In fact, the best divorce settlements are reached when reason and equanimity are the guiding principles of both parties. The best path to take is to work with your spouse in a calm and constructive manner to come up with a fair and equitable settlement. 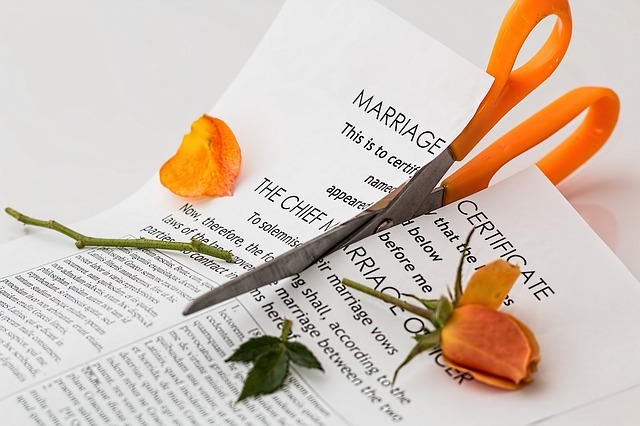 Our lawyers specialize in mediation and collaborative divorce so that we can provide you with the guidance and practical legal advice you need to get through the process with your sanity, dignity and a fair share of the marital assets intact. Hiring a lawyer is essential in getting the justice you deserve in your divorce. An attorney acts as an advocate, counselor and strategist. Dissolving a marriage may be a very difficult and traumatic experience for some people. It can be especially arduous when the estate you’ve built together is significant and complex. Although money is not something you want to dwell on, it is an issue that must be handled with care and competence. You have worked very hard to accumulate your assets and income. You should ensure you are represented by the right attorney to preserve it. You are not alone. You do not have to go through the emotional and mental travail of a divorce without a strong, experienced and confident hand. Our NJ divorce lawyers can provide you with the insight and advice you need to reach an equitable settlement.